Are Low Energy Lighting Solutions really that Cheap? All businesses want to be able to keep a tight hold on their finances and this usually means choosing the right solutions for various circumstances. 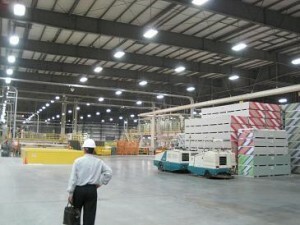 One issue that all businesses face is providing the right lighting for their workers, within warehouses and other buildings. Obviously the larger the building you have to light, the more expensive it will be. This is why low energy lighting solutions are often the preferred choice for businesses. But are they cheap enough? If you already have existing light fittings that can be changed for lower energy versions that can be adapted to use low energy bulbs then this can work out relatively cheap. However, if you are having to have new lighting put in, it really does make sense to pay for the lower energy versions. Not only are these lighting solutions cheaper to run than older versions, but they will also last much longer. You might also want to have timer switches installed that will turn lights off when they are not in use and save your business money. After you have made the switch you should see that your electricity bills drop and, on average you should save around 5% on your bills which means your new lighting will have paid for itself in no time at all. At Avon Electrical we provide a FREE no-obligation lighting survey of your business premises, this survey will outline where you can change your lighting to a low energy solution and where and how much you can save on your electricity bills. Call us today on 01282 454722 to find out more.